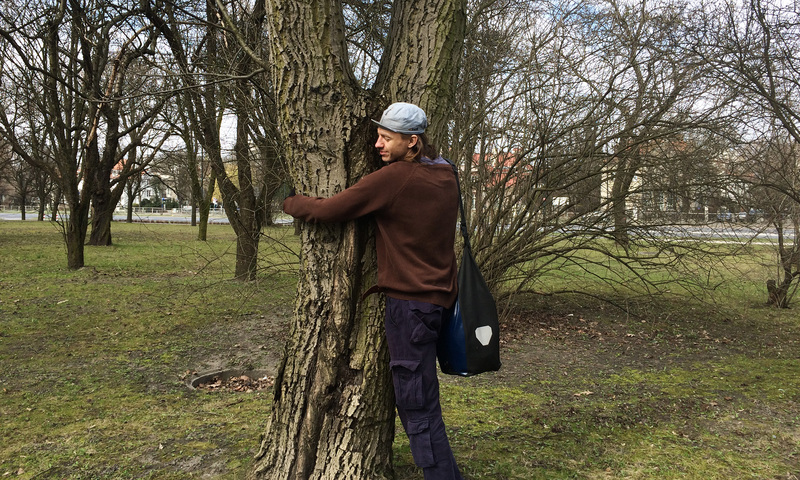 In March of 2015, a beloved section of fruit trees in Warsaw’s “Central Park”, Pole Mokotowskie, came under threat. 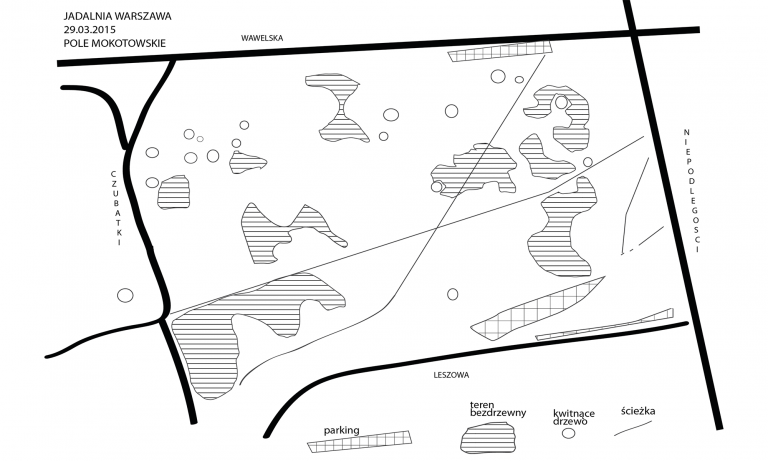 The city was considering cutting the trees and installing a dog run. A local group was working politically to try and get the city of reconsider the development and at least open a discussion with local residents about it. 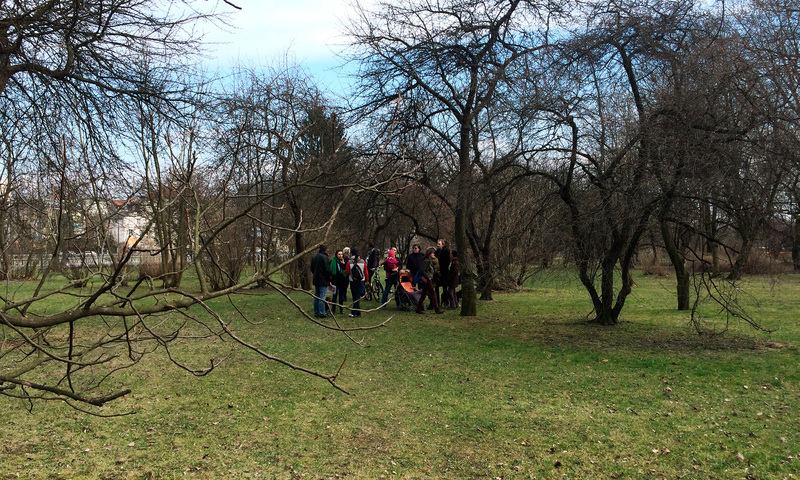 Jadalnia Warszawa decided to organize a walk for the purpose of exploring the area and making an inventory of the fruit trees growing there. 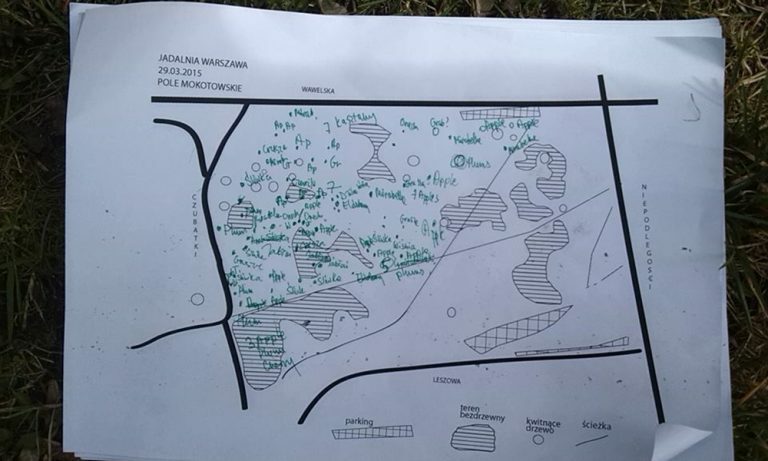 The project started with research about the area in question and a survey using Google Maps and footwork to create a map which participants could use to mark the location of fruit tree. 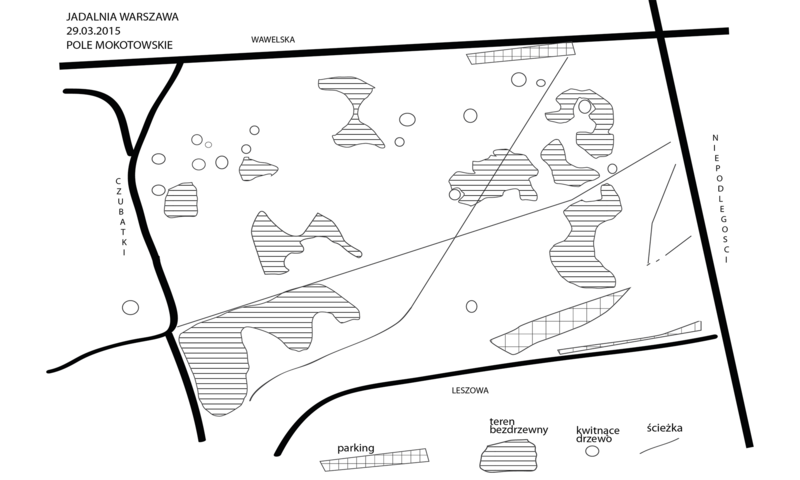 This area was once a site of something in Warsaw called Finski domki or Finnish homes. In the 1950s, the government hired Finnish workers to help rebuild Warsaw. There was no place for them to live, so they built their own homes. These houses were built in a Finnish style, out of wood. It seems that the Finns brought the wood with them from Finland. They also Finns planted fruit bushes and trees. One such site remains in a neighborhood called Jazdów, but here all that remained were the trees. The area was also home to garden allotments, and a few of these allotments are still there. As for trees with edible fruits, during the walk we counted 32 apple trees, 25 plum, 3 walnut, 7 pears, 2 wild cherry, 2 cherry, numerous elderberries, wild rose, and hawthorn. 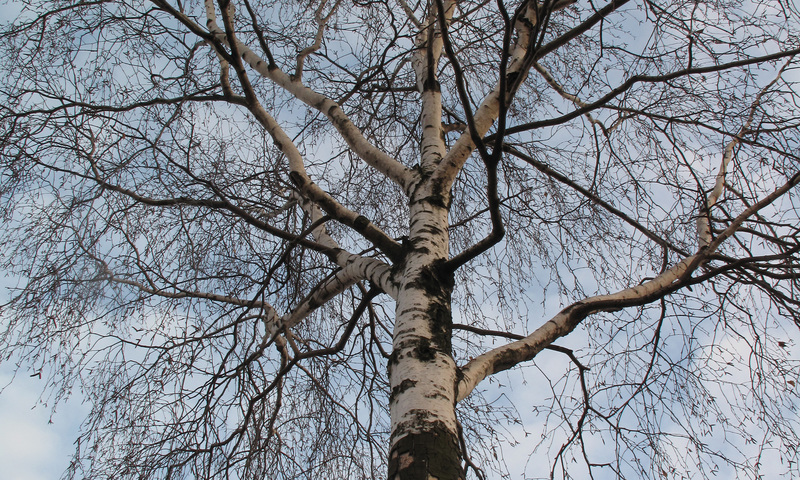 Though the focus was on edible trees, people also counted 35 maple, 2 ash, 2 linden, 10 birch, and a spruce.